Luxury monster trucks, bankrupt billionaires, a sleeping suit, and so much more: In case you missed any of the April Foolery, we’ve got you covered. The first day of April fell on Easter this year, so pranksters had to compete with a national holiday. But we remained alert and culled the best outdoor-themed April Fools’ gags of 2018. Know any we missed? Let us know in the comments below! Without further ado – and in no particular order of significance – here are 10 pranks that gave us a giggle. While modern FKTs are all the rage for trail runners and long-distance hikers, the Fastest Known Time pro message boards acknowledged some “classic” records. And we’re talking pre-record books. For example, Lewis and Clarke’s 7,000-mile roundtrip hike through the American West in a blistering two years made the cut. 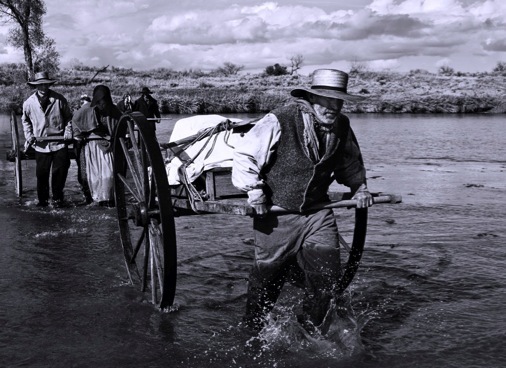 So did the first – and only – Biblical Red Sea crossing (thanks to Moses), and the Mormon handcart migration led by Brigham Young. Italian climber Stefano Ghisolfi claimed to have trained with NASA in “hyper gravity” to send the world’s first 9C+ … twice. Bike Nashbar decided a little advocacy was also in order with its prank. Its massive – and functional – 149.7-decibel bike horn requires a heavy-duty air compressor. But once it blows, look out! And judging by the video, it’s so safe you don’t even need a helmet anymore. In a series of increasingly dire Tweets, billionaire Tesla CEO Elon Musk announced the electric auto manufacturer had filed for all chapters of bankruptcy – “including Chapter 14 and a half (the worst one).” We especially liked the “Teslaquilla” bottles Musk claimed to have drowned his sorrows in. BioLite makes gear to help you prepare great camp meals. But the brand also cooked up a hair-brained bonus: meal delivery via drone. Best of all, each air-lifted care package comes with BioLite cooking gear – so you hardly need to pack anything. The American Mountain Guides Association (AMGA) decided to round out its programs to include perhaps the most important discipline a guide can master: après. Adding “six months to a year” of additional training, the après discipline teaches mastery of wine tasting and pairing, skin care, pampering, and more. Sign us up! Ruckus Composites, known for high-end carbon bike repair, asserts it is at the forefront of materials science. But, as the brand notes, it has long wondered, “What the hell is titanium good for?” Certainly not bikes – at least by Ruckus’ estimation. 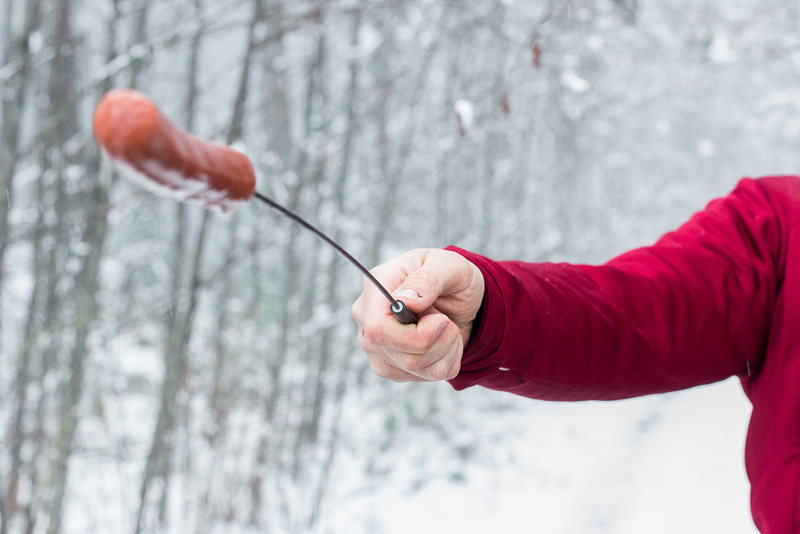 Thus, it pioneered the Dog-On-It titanium hot dog spear. Now, the ounce weenies have a weenie cooker they can get behind. And in case you’re wondering – it has a Buy Now button, so it looks like this is on the market. 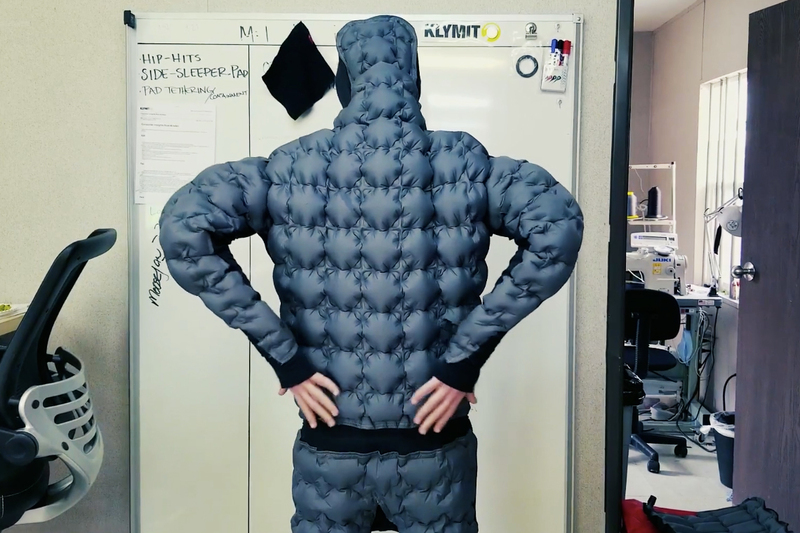 For the workaday warriors who hit the midday wall, Klymit fabricated the Sleep-Anywhere Suit. A full-body suit with rear baffles and an inflation valve, the Sleep-Anywhere Suit actually looks like a cozy contraption. Maybe we could test one … ? Last, but certainly not least, is the Project Sparta: a 1,100-horsepower V12 monster truck. 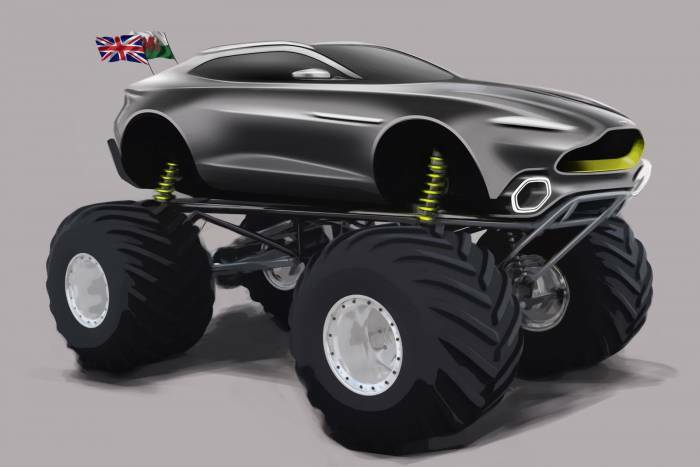 The British performance-luxury automaker yesterday announced it would enter the next frontier of racing: Monster Jam. Cheerio!